Keith Liederman started as a program director at Kingsley over twenty years ago and became Chief Executive Officer in 2003. He oversees the agency’s comprehensive array of nationally accredited and state certified programs focused exclusively on early intervention and prevention, serving toddlers as young as 6 weeks old in Early Head Start and the Pre-School, to adults almost as old as the institution itself in Adult Day Health Care. 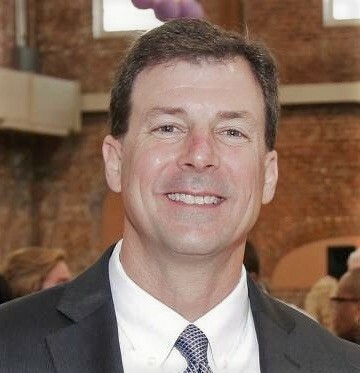 Dr. Liederman also performs a variety of civic functions on the local, statewide and national level, including serving on the Child Welfare League of America’s Board of Directors, the Every Child Matters Board of Trustees, and the Louisiana Association of Nonprofit Organizations’ Board of Directors. He earned his bachelor’s degree at the University of Massachusetts (Amherst), his Master of Social Work at Yeshiva University’s Wurzweiler School of Social Work, and his Ph.D. from Tulane University. Dr. Jessica Boykin received her Bachelors and Master’s degrees in Social Work from the The University of Southern Mississippi and her Doctorate in Health Administration from the University of Mississippi Medical Center. While living on the beautiful Mississippi Gulf Coast, Jessica provided social service coordination to over 250 residents of the Catholic Diocese of Biloxi’s senior housing properties and oversaw the organization's Representative Payee program in partnership with the Social Security Administration. She joined Kingsley House in April of 2015 as Director of Adult Services. An adopted "late-in-life baby," Jessica actually began her career path in senior and disabled health at an early age as she helped care for her parents on their farm in rural Mississippi. As the daughter of a social worker and WWII veteran, Jessica says that she was "serendipitously prepared" to serve the participants at Kingsley Adult Day Care and is grateful for the opportunity to translate her life experiences and education into programming and advocacy for seniors, medically-fragile adults, and veterans. With a background in business administration, Kathy joined Kingsley Adult Day Care in 2012. Prior to her tenure at Kingsley House, she worked for the State of Louisiana for almost 25 years in business, public relations, marketing, and promotions. Kathy says that she takes her role very seriously, ensuring that various aspects of the operation run smoothly on a daily basis. She is dedicated to the tasks of crafting quality programming and ensuring that participants have an enriching experience every time they walk through our doors.